1. You're all like "Ooh, Ukraine, Ukraine!" but calm down and wait for the question. 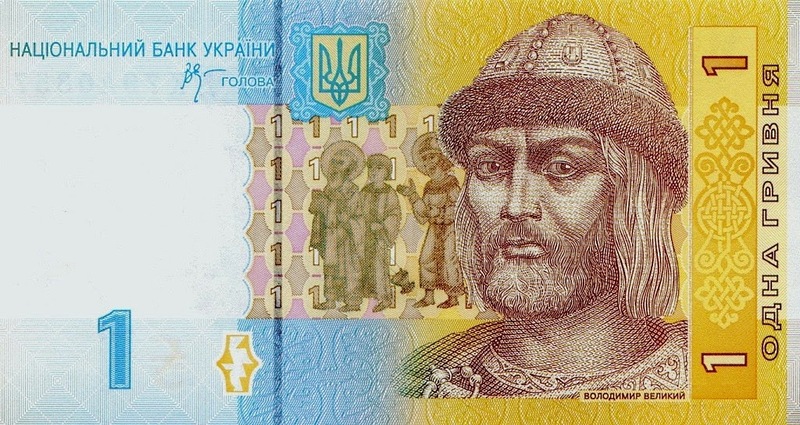 As shown on this, yes, Ukranian banknote, this was the guy who used diplomacy, trickery, armies of Norse mercenaries, and the opportunity afforded by a fratricidal war between his two brothers to consolidate control over the Kievan Rus and forge it into a powerful kingdom. Then, allegedly after comparing scouting reports on the major world religions, he converted his people to Eastern Orthodox Christianity. He died exactly 1000 years ago. Who was he? 2. The main female characters of this 1848 novel, which satirizes the world of 40 years before, are the sweet, kind, and well-meaning Amelia Sedley (whose husband will die at Waterloo) and the manipulative, insincere, and amoral Becky Sharp. Most readers find Becky much more likeable, of course. 3. What is the city shown here? 4. This French priest (1581-1660), whom you may know of only from the organization that took his name, is the patron saint of all works of charity. 5. If you had to guess what national capital's skyline is shown here, you'd probably say it must be the capital of ______________. And just to be clear: you are seeing most of the central business district here. 6. Element #23 is a metal that is often added to steel to increase its strength and durability for use in tools. What's it called? 7. 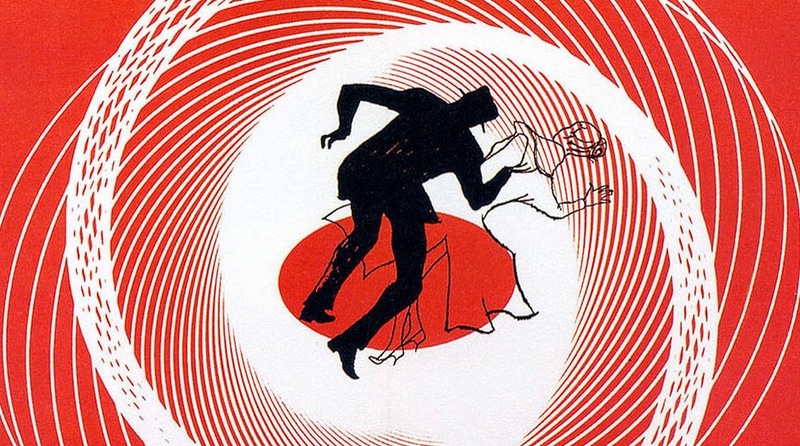 Saul Bass designed this graphic for a famous 1958 movie. What was it called? 8. What government was headed by the octogenarian Marshal Philippe Pétain? 9. 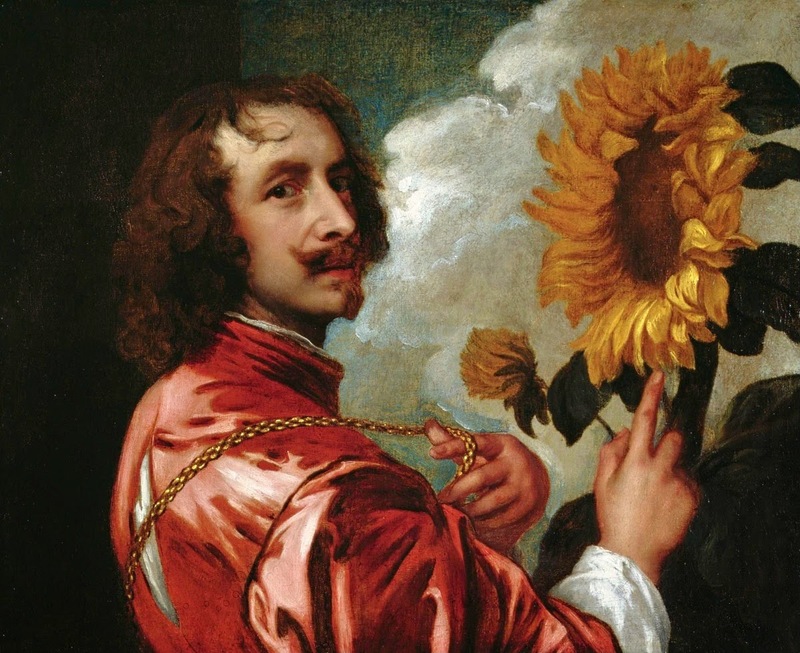 Self-portrait with a Sunflower, from sometime in the 1630s. Who is the famous artist? 10. During his life, this nominal priest was the director of a crack orchestra of orphan girls and a popular composer of concert music and operas. After his death he was completely forgotten, but in the second half of the twentieth century he was rediscovered by specialists, attracted a wider following, and eventually became one of the great composers whose name everybody knows. And that name is _______________. 3. Ventura? I can't think of any other V-cities. 5. 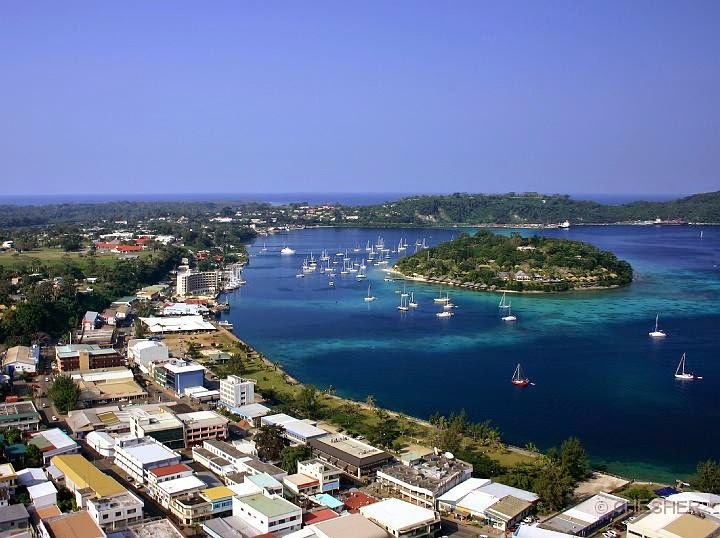 Vanuatu (sp?) because that looks very mid-oceany. 10. Vivaldi? Was he ever undiscovered? 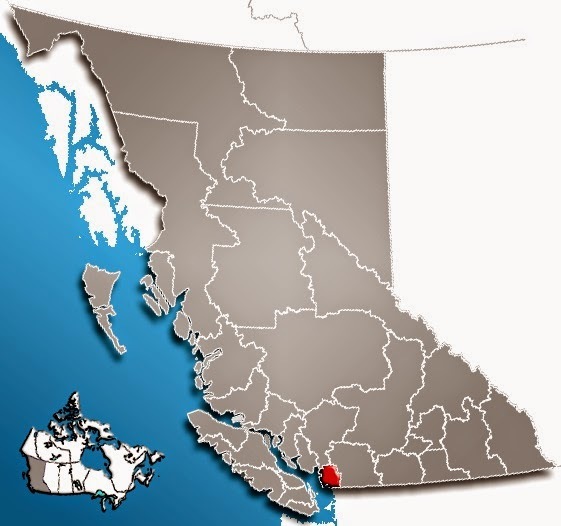 Oops, wait a minute - that's not California! It's Canada! And that's Vancouver! Sheesh. 1. Volodimir Velkii. Sez so on the bill. Thank goodness for 2 years of Russian. 7. Vertigo. Thank goodness for working at an art & design school. 1. Sounds like something a player of "Crusader Kings" would know. 5. I was going to guess Venezuela, but I thing this city is much too small. So now I have no idea. 6. I guess I need to start studying the periodic table of the elements for these quizzes. 1 um, Vladimir...the somethingth...the Great? 10. Ve missed zis in music history. I hope we will get the March Quiz answers soon. On further thought, I think that 10 is probably Verdi. He is the only composer of operas I can think of whose name starts with V.